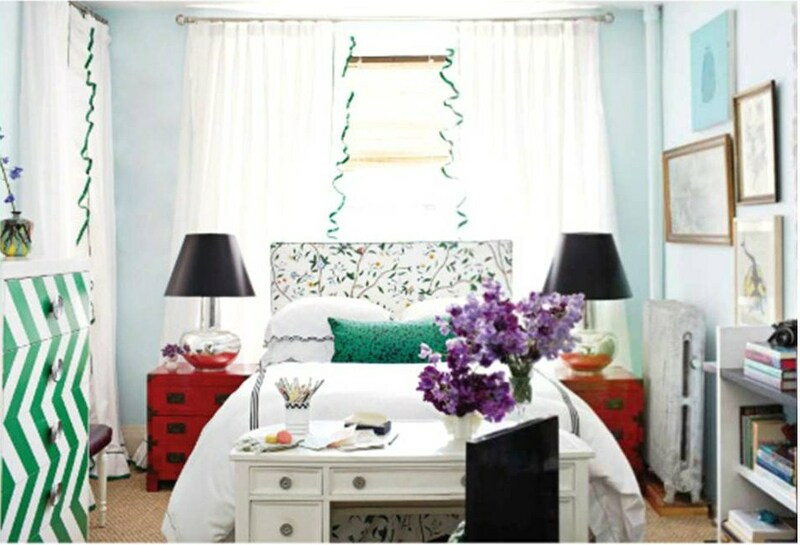 Have you all seen the new issue of House Beautiful? It's pretty great. The entire issue focuses on Small Space Design... and one of the homes featured was designed by cutie pie (and former Domino contributer) Nick Olsen. Designed for his friend (who is a talented photographer) this space is only about 300 square feet! 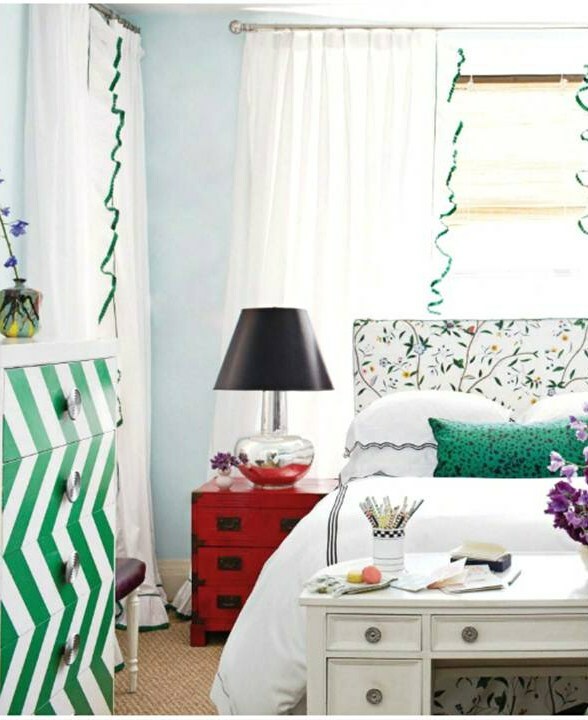 I'm crazy about the color scheme... also, love the ruffled edge on those drapes. And, I love the fact that he uphosltered a french Louis chair in a Mexican serape. Talk about thinking "out of the box." You must watch this video. Nick takes us on a personal tour of the tiny space... please take note of the kitchen backsplash. It's such a great idea. PS: those sofa pillows have Turkish corners! I had this open on my lap ALL weekend. I still can't stop thinking about how much I love everything in this teeny apartment. Yes, I agree with Sheila...I love it all! Especially those polaroids on the refrigerator. What a unique and creative solution for an ugly appliance!! I saw this on another blog at the start of the week and it went into my inspiration file. 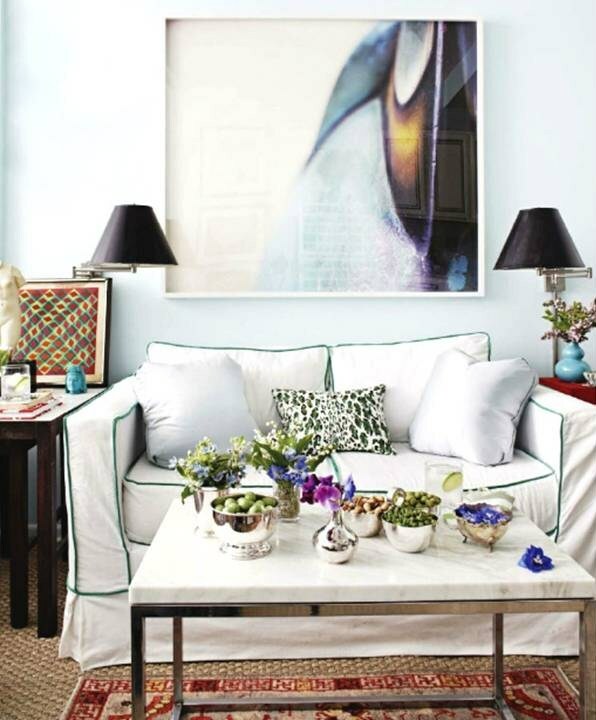 Such a cheerful gorgeous space with so many great ideas. Love the colour scheme as well. Love it! 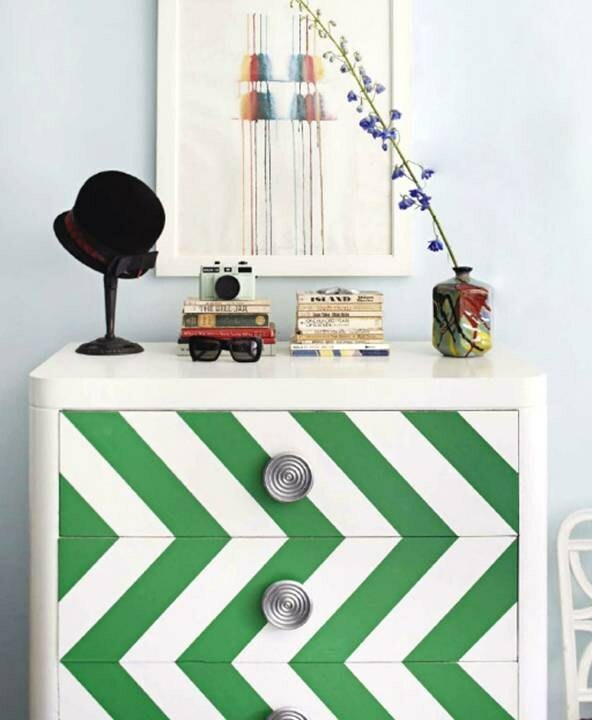 The green dresser reminds me of the drapes I just did in my sons room. Love that shade of green. I love this so much! When I first saw it, I didn't appreciate it, but after a second look I'm blown away. I neeeed those drapes. He made it sound so simple to have done, but I don't know where to start. Help us Kelly!! p.s. Stop it with the jack in your store. It's very Cindy Brady playground trophy - me likey!